Thinking about taking out a reverse mortgage? A reverse mortgage is a powerful financial tool offering several important benefits for homeowners. However, they are not the right fit for everyone. In order to make an informed decision, you’ll need a better understanding of the pros and cons involved. First, let’s discuss what a reverse mortgage is. Really, the name says it all. In this situation, a lender will offer you a mortgage loan on your existing home. You do not need to worry about paying the money back each month (more on this in a bit), and you can use the funds for pretty much anything you want. No monthly payment – You don’t need to make monthly Principal & interest payments on the mortgage unless you want to do so. However, you must maintain paying your property taxes and insurances. Take equity out – If your home is paid off or mostly paid off, you can take equity out of your home to use for unexpected expenses, supplement income, pay off other debts, etc. Pay off your existing mortgage – If your home loan is not quite paid off, you can use the funds from a reverse mortgage to pay it off and reduce one of your largest monthly bills. No taxes on the money – You do not have to worry about the funds from the loan counting toward your taxable income. This is a non-recourse loan which means, there is no personal liability to pay off the loan. Exactly like a traditional mortgage, you will always keep the title of your home. The balance of your mortgage increases over time. A reverse mortgage may have an effect on your Medicare eligibility, as well as other needs-based government programs. Seek benefits counsel for advice. The mortgage must eventually be paid off. If there is a desire to keep the home after you move out or if your heirs wish to keep the home after you pass away. Age requirements are in place. Costs may be higher than a conventional mortgage because mortgage insurance is required however, it’s financed and not out of pocket. Myth 1. Only people with financial hardships need reverse mortgages. Reality: There are many affluent senior borrowers with healthy retirement assets who are working with financial professionals and even estate attorneys to use reverse mortgage loans in order to enhance their overall quality of life! Myth 2. You must pay taxes after receiving loan proceeds. Reality: These proceeds are TAX FREE! It’s always smart to consult your financial advisor and/or government organizations for any effect on taxes or benefits. Reality: You will retain ownership & the title for the ENTIRE life of the loan (as long as you continue to meet the loan obligations)! Myth 5. The home must be void of any existing mortgages. Reality: Borrowers can use their reverse mortgage to pay off an existing mortgage! While reverse mortgages can be highly beneficial financial tools, they can be challenging to understand, simply because they differ so greatly from other mortgage options on the market. It is important to ensure you fully understand this program before deciding to pursue it. 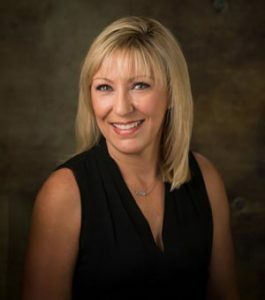 With over 25+ years of experience in the industry; I have worked on both the retail side of the business, originating Reverse Mortgages, and in the wholesale side of the business, as an Account Executive. My experience also includes running the Reverse Mortgage servicing division. I’ve worked in virtually every aspect of the Reverse Mortgage Business and bring the most extensive reverse mortgage background in the state to each in every client I get the opportunity to serve. If you want to learn more, I’m just a phone call away! Click here to send me an email or just give me a call at (504) 289-6464 when you’re ready!